The lid of the box has a bevelled edge and Inside is red satin lined, prefect to store rings or smaller items like earings. Polished silver plated heart trinket box. This box would make a great gift for any lady for any occasion. It has a shiny chrome finish. 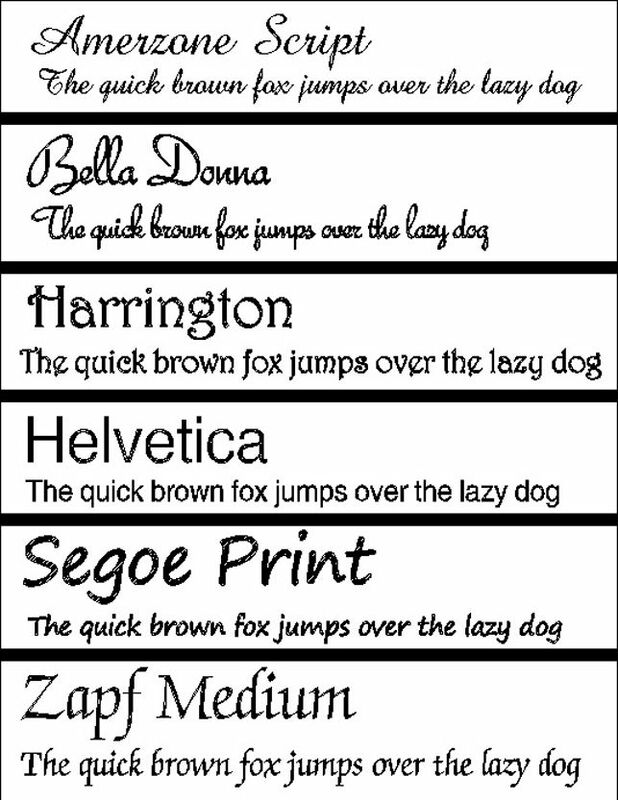 For engraving we recommend 6 lines of 18 characters per line, including spaces. 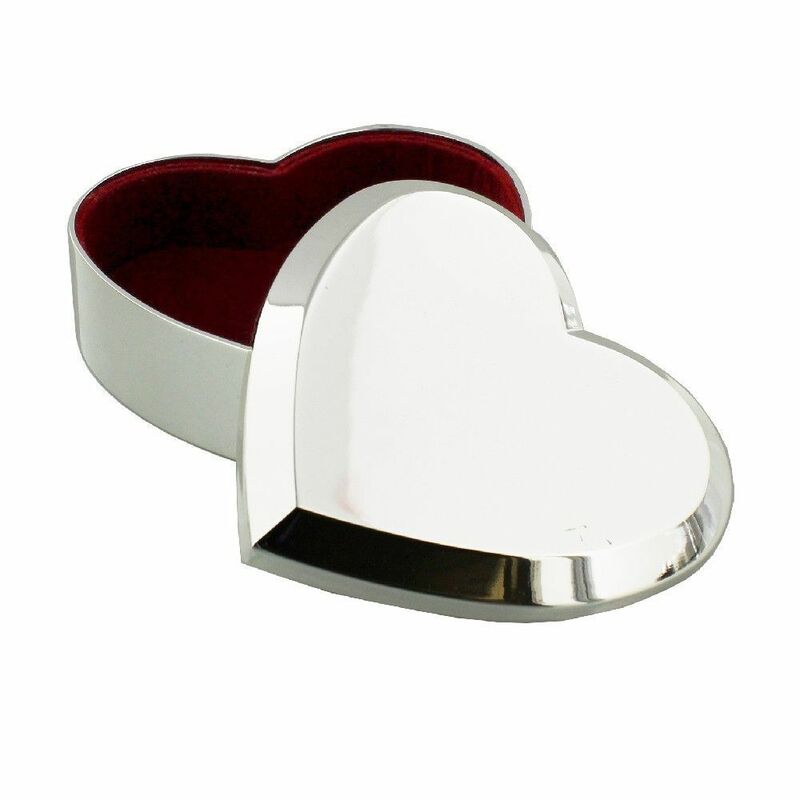 This chrome plated gift box is an ideal way to present a beautiful necklace or bracelet. 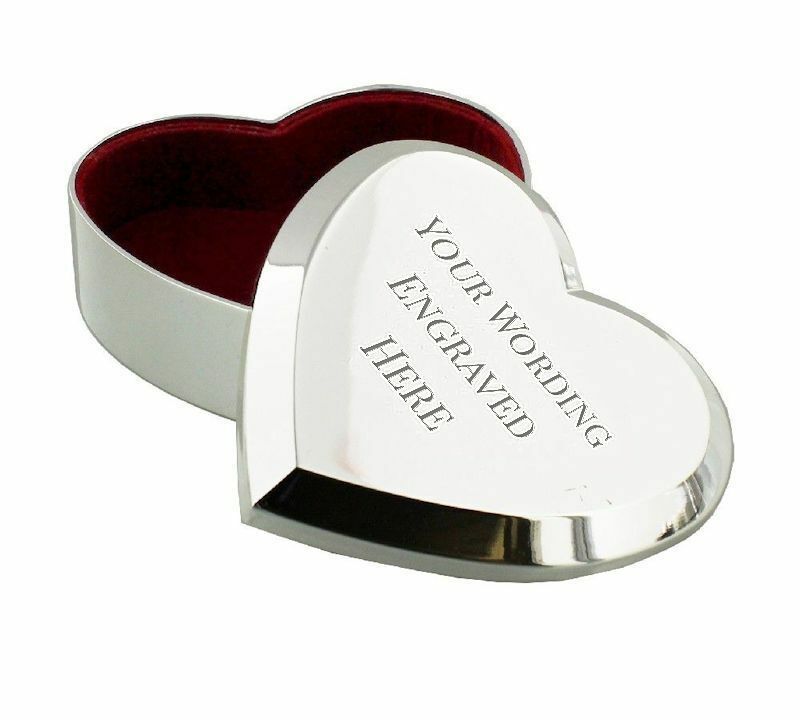 Attractive silver plated oblong trinket box, featuring a hinged lid with decorated with stylish flowers. 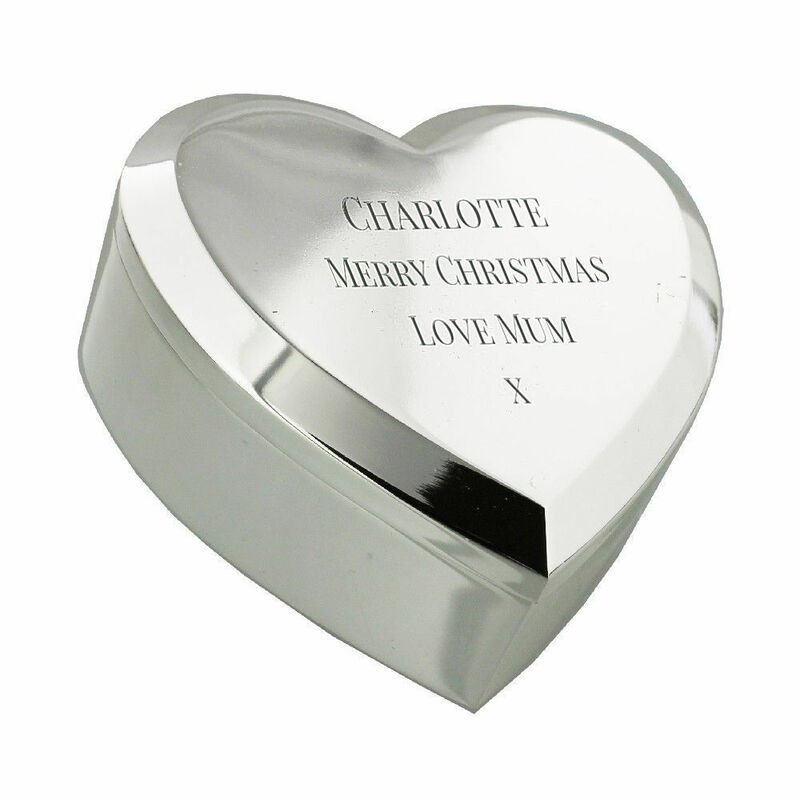 Highly polished silver plated star trinket box.